Before we check out the stock wallpapers onboard the Meizu V8 and V8, let’s get the specifications of the way first and foremost. 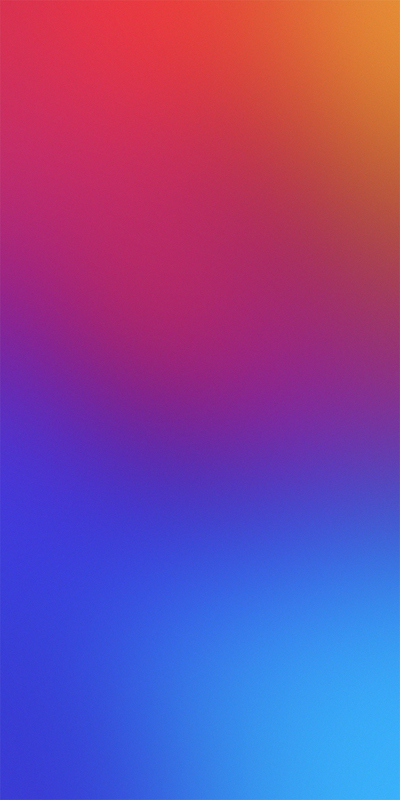 You can download the Meizu V8 and Meizu V8 Pro wallpapers from our link below. Meizu unveiled two new entry-level smartphones, the V8 and V8 Pro in China! The Meizu V8 Pro smartphone. Image source: GSMArena. The Meizu V8 is equipped with a 5.7in HD+ 18:9 IPS LCD display with a resolution of 720 x 1440 which makes up for a not so great pixel density of 282 PPI. The metal clad Meizu V8 Pro is powered by a lower-mid-range MediaTek Helio P22 SoC coupled with a PowerVR GE8320 GPU along with 4GB of RAM. Internal storage capacity is 64GB. A MicroSD card slot that can handle cards at a size of up to 128 GB is present in the Meizu V8 Pro for expandable storage. As far as biometric authentication options are concerned, the V8 Pro is equipped with a front camera-based face unlock system as well as a fingerprint reader located at the back of the device. Photography is handled by a dual camera setup at the rear featuring a 12 MP sensor (f/2.2) +5MP (f/2.2) accompanied by a dual LED dual-tone flash The rear camera can record videos with a resolution of up to 1080 @ 30fps. A 5MP snapper (f/1.9) is featured up front. A decent enough 3,100 mAh battery is onboard the Meizu V8 Pro to keep the lights on. Speaking of which, The Meizu V8 Pro is equipped with the now obsolete MicroUSB port for charging. Coming to the connectivity side of the Meizu V8 Pro, it has you mostly covered with Wi-Fi 802.11 a/b/g/n/, Bluetooth 5.0 LE with A2DP, GPS for navigation and location-based services and features and more. Thankfully, the Meizu V8 Pro retains the good old headphone jack we all love. The Meizu V8 Pro runs on Android 8.0 Oreo-based Flyme UI out of the box. As for pricing, in China, the V8 Pro will set you back CNY1,100/appox. Rs. 11,600. The Meizu is available in Black and Gold. Worldwide availability is yet to be known and confirmed. The Meizu V8. Image source: GSMArena. The Meizu V8 features the same a 5.7in HD+ 18:9 IPS LCD display with a resolution of 720 x 1440 which again makes up for a not so great pixel density of 282 PPI present in the Pro variant. 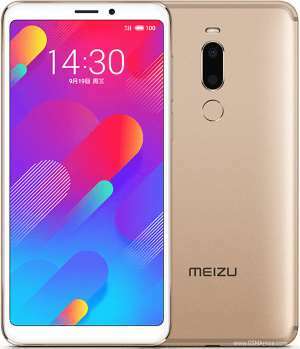 The Meizu V8 is powered by an entry level 1.5Ghz MediaTek MT6739 Quad-core SoC coupled with a PowerVR GE8100 GPU along with 3GB of RAM and 32GB of internal storage. A MicroSD card slot is present in the Meizu V8 for expandable storage. As far as biometric authentication options are concerned, the V8 is equipped with a front camera-based face unlock system as well as a fingerprint reader located at the back of the device. A decent enough 3,200 mAh battery is onboard the Meizu V8 to keep the lights on. Speaking of which, The Meizu V8 is equipped with the now obsolete MicroUSB port for charging. Coming to the connectivity side of the Meizu V8, it has you covered with Wi-Fi 802.11 a/b/g/n/, Bluetooth 4.2 LE with A2DP, GPS for navigation and location-based services and more. Thankfully, the Meizu V8 retains the good old headphone jack we all love. 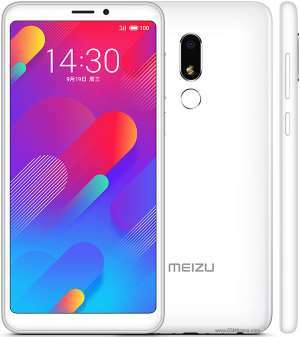 The Meizu V8 runs on Android 8.0 Oreo-based Flyme UI out of the box. As for pricing, in China, the V8 Pro will set you back CNY 800/appox. Rs. 8,426. The Meizu is available in Black or White. Worldwide availability is yet to be known and confirmed. 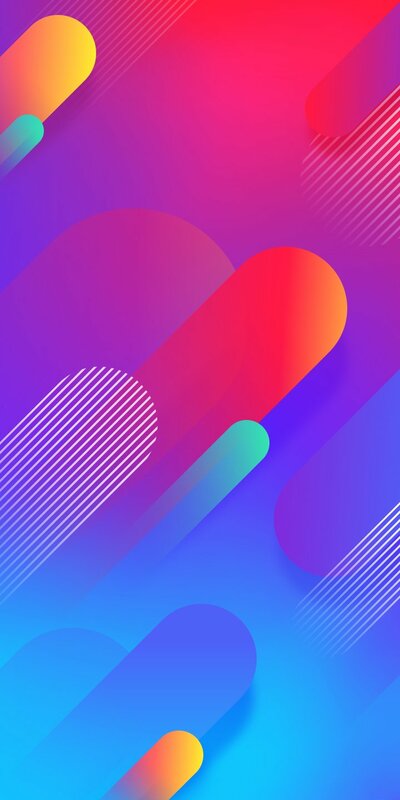 Alrighty, now let’s download the stock wallpapers that is present in the Meizu V8 and V8 Pro. Download the zip file via the Google Drive link given below or check out the gallery below if you would like to save them one by one. The resolution of the wallpapers is 720 x 1440 pixels.